The 9th April 2013 marks my fourth time seeing Jose James live, and, let me tell you… that man is a magician on stage! As I say, I’ve seen him four times over the course of four years and he just gets better. His stage presence has flourished and he’s been able to continually evolve, adapt and improve since the initial attention he garnered from his debut album release, ‘The Dreamer’ in 2008. Giving a quick skim-through of his current tour diary from his own website, from now until August 2013, James is currently due to perform further dates in the UK, before moving on to Germany, Switzerland, France, Finland, The Netherlands, Spain, Portugal and the US. From an interview I conducted with Jose James in 2009 [one of the proudest moments for me on this site] , he described his approach to performing live in the following way: “Creative. I never perform the same way twice and everything is very natural and in the moment. I want to bring my full self in performance and I give myself to it fully! I live for that moment and space and time.” It’s a unique talent that he possesses that enables him to stand in front of an audience in the Barbican Hall, suavely decked out in a tailored suit & tie, enchanting audiences with his luxurious baritone vocal as he performs jazz classics alongside McCoy Tarner, while still being able to captivate a completely different generation and audience: leather jacket, baseball cap to the side, as he flows through his own recordings on the stage at London’s Jazz Café. I’m telling you. He’s a magician. On this occasion, it’s the stage at Shoreditch’s XOYO that would see a suited-and-booted, and sunglass-wearing, Jose James take to the stage to weave his magic. 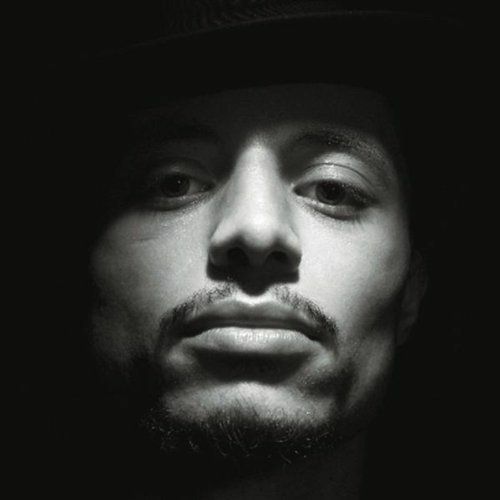 ‘No Beginning No End’ is Jose James’s usual celebration of jazz music but he’s also made no bones about the album’s tipping of its hat towards (neo) soul music, and as well as the first half of the album merges these two genres, the ambition is fully realised in a live setting. Throughout many of the songs performed, James & band fluently interspersed the occasional soul classic into the mix, James’s own ‘Black Magic’ found itself snugly included in the middle of show- (and album-) opener, ‘It’s All Over Your Body’; a performance of the Bill Withers classic, ‘Ain’t No Sunshine’ featured Blackstreet’s, ‘No Diggity’; ‘Vanguard’ nicely included an ode to Marvin Gaye’s ‘Mercy, Mercy Me’, and the encore performance of ‘Parkbench People’ brilliantly morphed into the Roy Ayers gem, ‘Everybody Loves The Sunshine’. At times, James introducing these songs into the performance by scratching in his own vocals between the two songs as proficiently as a DJ scratching between two vinyl records in front of a live crowd. His improvisation, his synergy with the band, it all comes across as wonderfully spontaneous but that’s just a testament to how meticulous and calculated it all really is. The horns play their part with sharp efficiency, alternating between subtle background harmonies during the soul numbers, to a more powerful and commanding presence when they’re allowed to unleash on the more jazz-based or instrumental numbers; Richard Spaven’s drum work – always a highlight – as he’s capable of switching styles in a moment, be it his solo drumming explosion during ‘Vanguard’, or his drumn’n’bass-esque trip during ‘Parkbench People’. James’s banter between the songs was charming, warm and witty, with interesting stories of when he first moved to London (winter, 2006, and apparently it was particularly cold that winter, not that I specifically remember that myself though), and another highlight was at the conclusion of ‘Come To My Door’ when he notices a young lady getting ready to head off home, he quipped, "That’s f####d up when you sing ‘come to my door’ and the girl leaves". If you’ve never attended a Jose James performance, really do all you can to see one for yourself – it’s not too late to hop on the Jose James bandwagon and you may as well do so now: he’s an undeniable and inimitable talent who’ll be around for a considerable amount of time to come.